The service employees always make it an easy and pleasant experience. Linda Casey is Awesome! She is so helpful and always professional! Micheal and Ed Were great! No hassle nonsense. Very helpful. Answered all my questions and were very patient with me. I got an amazing deal! 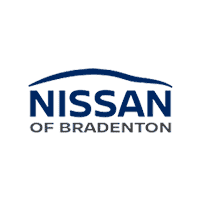 Highly recommend Nissan of Bradenton. Sean was great! Took care of my problem very quickly and I will come back for more service in the future! I was very pleased with the service!